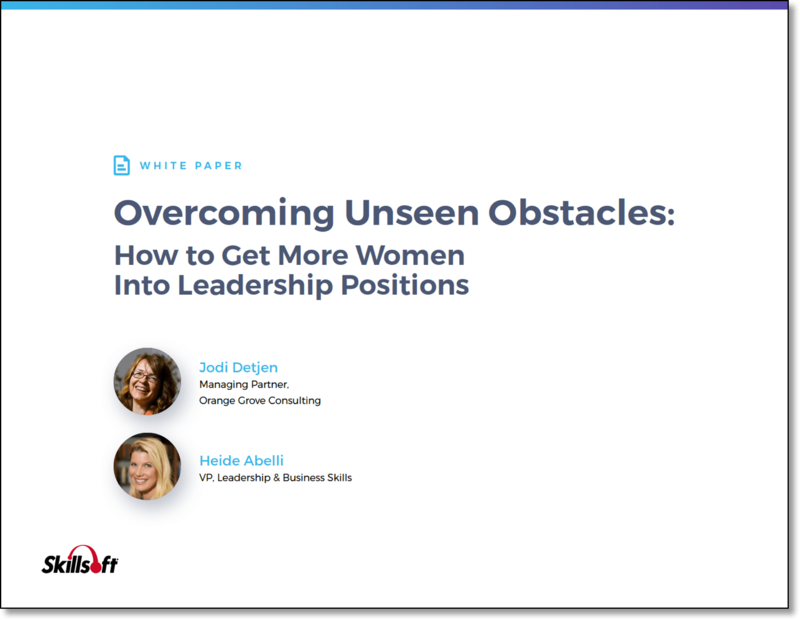 Welcome to Myth #12 of our blog-series highlighting women’s leadership myths. But the male-dominated workplace contributes to intense female rivalry. Often, there is only one seat at the table, only one place in that room, and women need to compete mightily with one another to get it. And as any woman can tell you who has occupied that lone seat, once there, it can be quite difficult to make yourself heard. A Washington Post article about President Obama’s first-term female staffers made the rounds on social media last week. In it, women with a place at arguably the most powerful table on earth talked about what it was like to work in the White House and feel silenced. They complained of being shut out of conversations by male senior staff. When a woman’s idea was deemed to have merit, male colleagues often received credit for it. 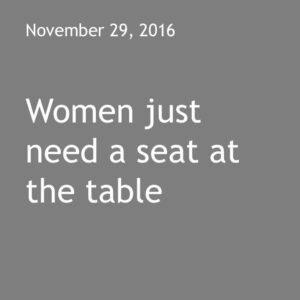 A few women had a place at a very important table, but they were not being heard. Their solution was a simple one: amplification. Whenever a woman put forth a great idea, another person echoed it. Sometimes it took several reverberations, but the women continued to repeat their colleague’s otherwise overlooked idea, and made sure that wisdom got air time with the President. Instead of falling prey to competitiveness and professional rivalry, these women took a lesson from Shine Theory. They realized that one woman’s success did not counteract their own. As a collective, they became members of a more valuable team simply by going to bat for one another. These days, in the President’s second term, the senior staff is a more balanced, nearly an equal split of men and women. There are more places at the table. There are more voices being heard. Play the role of amplifier at your next meeting. Instead of pushing your own agenda, listen more carefully in that room. Echo and underscore other people’s good ideas. Did you find yourself valuing someone you usually overlook? Who else can you recruit to this team so you call can shine?